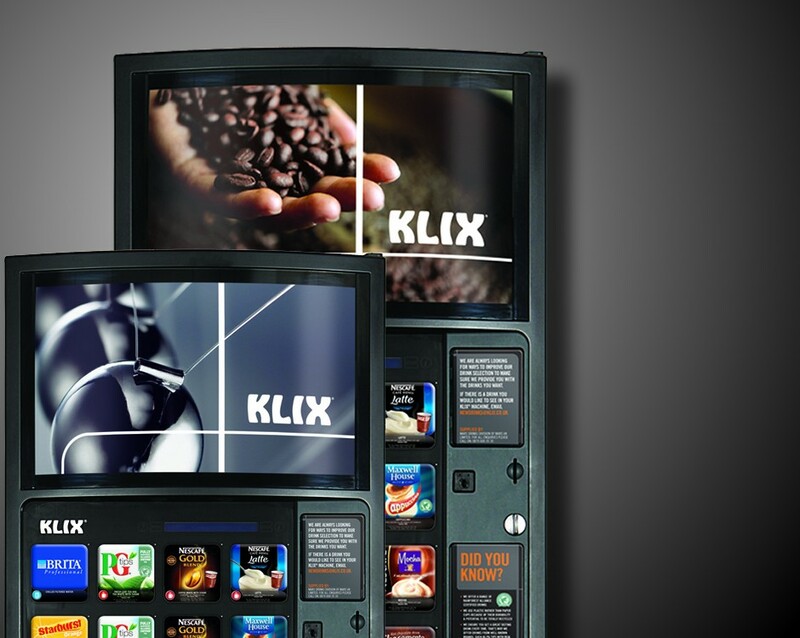 Imagine a KLIX Outlook in your workplace. You choose the design and a menu of 16 drinks from the range of 25 available. Dressed the way you want it, stocked with the trusted brands your people love and all drinks made with BRITA filtered water. 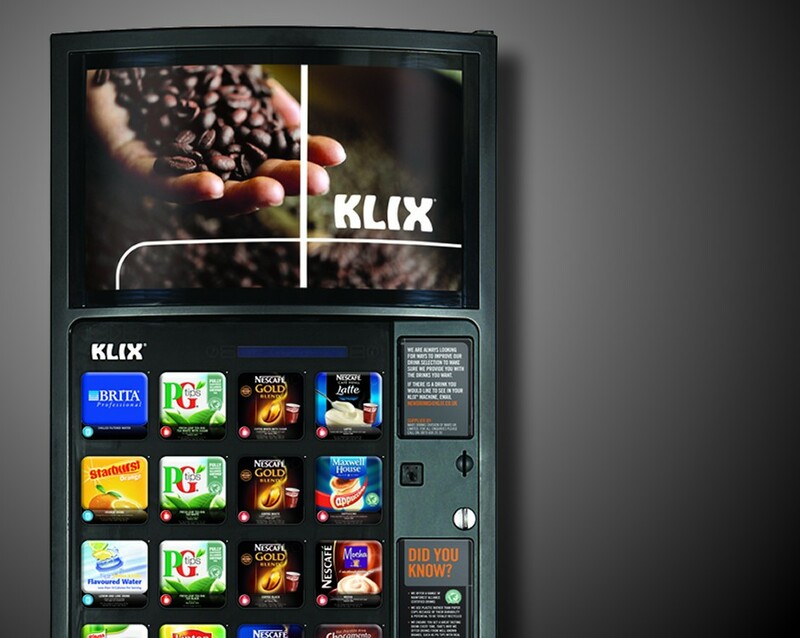 Everything about the KLIX Outlook machine is about you having control. 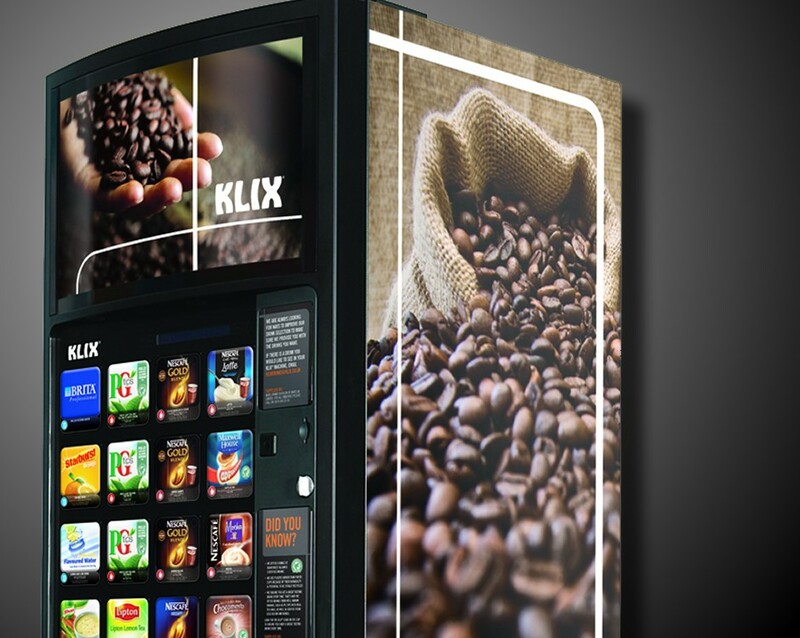 KLIX ‘In Cup technology’ easily fits into any workplace and gives your staff exactly what they want: delicious hot coffee, flavoursome teas, rich chocolate and tasty soups. 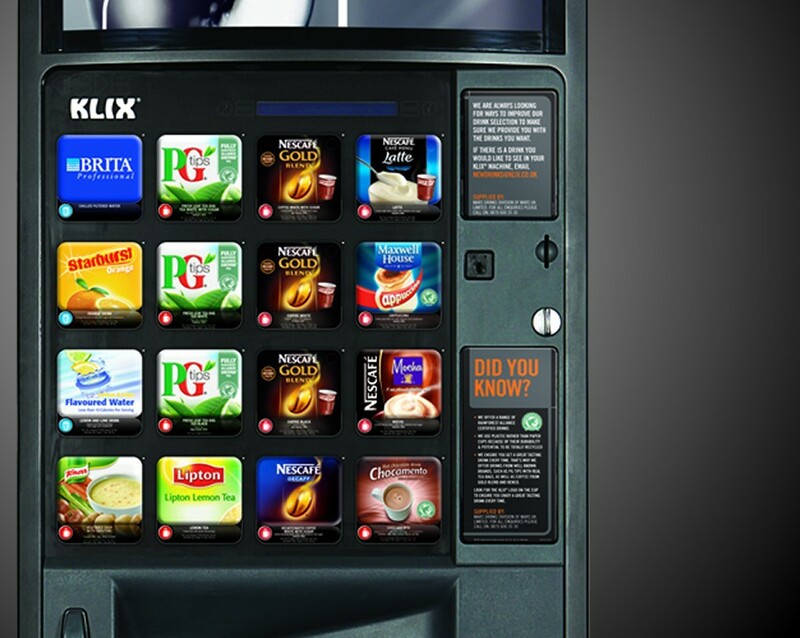 Over 25 different flavours are available from UK Vending to keep even the most fussy-drinker happy. When it comes to keeping control you can decide whether or not your staff pay for the drinks, whether they’re subsidised or even free; it is that simply, you can control the cost and decide if you want to make a profit or not. 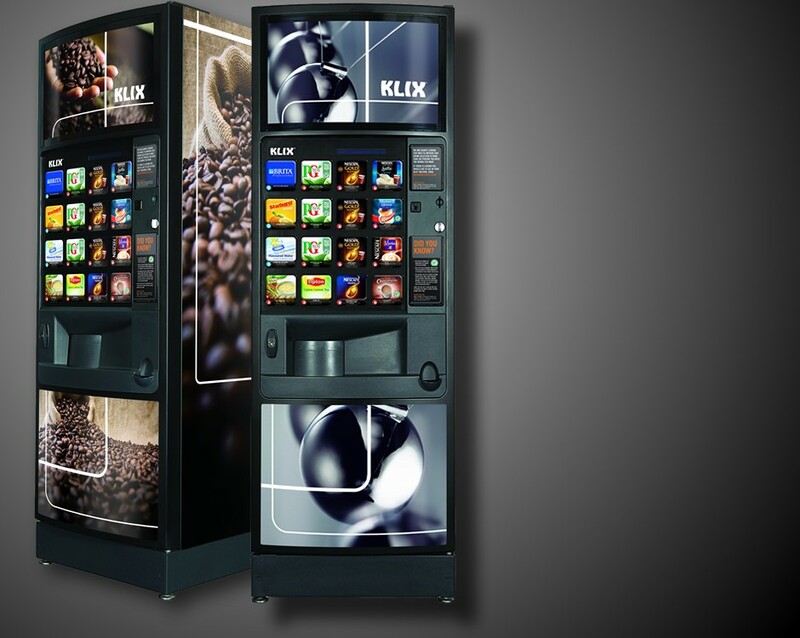 You can tailor the machine to exactly match your individual needs.